Every theme downloaded has a set of Default Content associated with it. This is in case edits are made to the theme that could potentially cause the theme to look off. This is useful for emergency situations, when the administrator isn't sure how to get the site to look how it once was. Note: We suggest making a backup to your theme, or a text document with the HTML of the page you are working on before editing. In case you get into the emergency situation where you can't get the page to look how it once was, its relatively easy to reset this back to the default content. Log into the admin panel, and go to Themes > Edit Theme > (page you are editing) > HTML Editor. Then, when you are here, you will want to click More Options > Load Default Content. When the page refreshes, the HTML should be set back to the default content associated with the theme. Note: This section is for advanced users who have HTML knowledge. 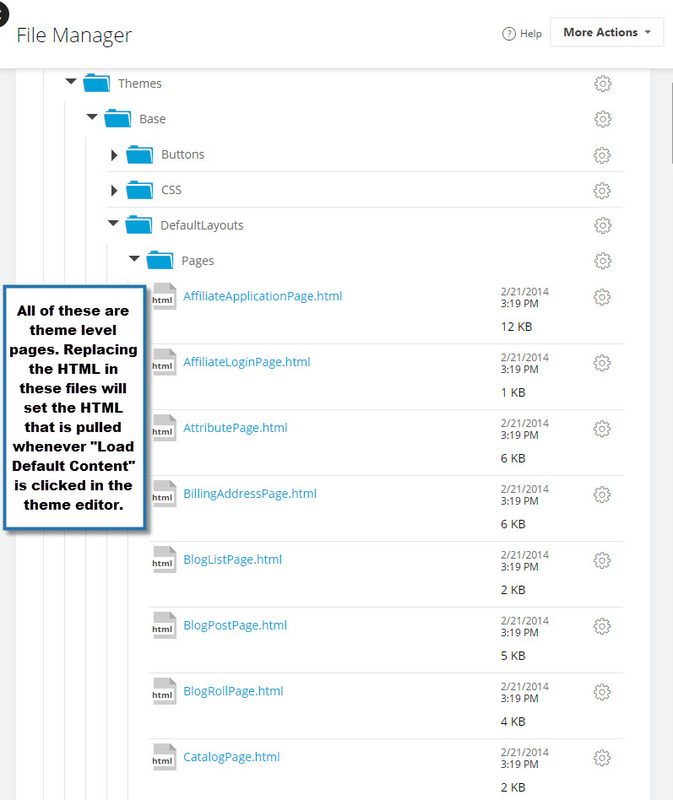 Even though the theme has default content associated with it, it is possible to edit these default content pages. This way, when you already have a working site/theme, you can replace the HTML in the default content with the HTML that you know works. To do this, you will want to find your Theme Directory name. This is found in Themes > Edit Theme > Global Theme Settings. Here you will find a selection that says Directory Name. This will be the name of the folder the theme is located in. Now that we have the directory name, go to Content > Files. Here look for the directory path under /Shared Directory/Themes/. In this folder, look for another folder labeled DefaultLayouts. This is a folder of all the theme level HTML files, that were taken from the original theme install. 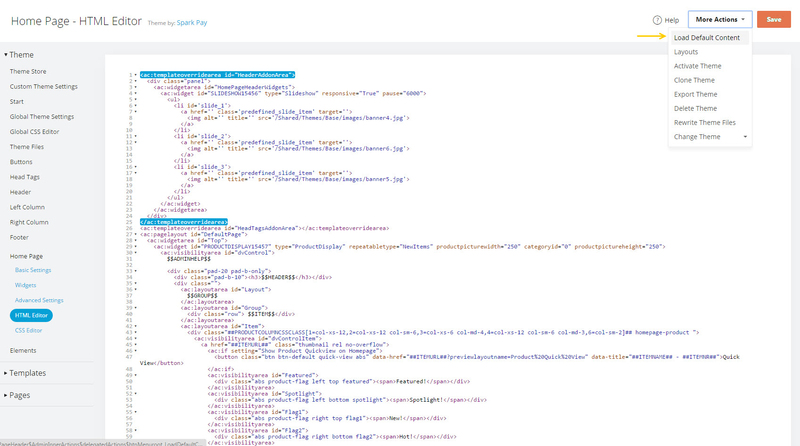 Simply edit these files, and put in the HTML you'd like this site to pull. In case the emergency situation happens where the default needs to be loaded. That is it! Now you are on your way of having a backup plan ready in case any theming issues happen.